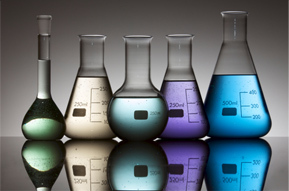 The trusted source for all your chemical and equipment needs. Gilbert & Jones offers the resources you'd expect of a world-class chemical supplier serving the electroplating and metal finishing industries. Yet we're still, at heart, a small company with a special penchant for pleasing our customers. In fact, we're smaller than many of our competitors. We offer personalized customer service, along with formidable industry knowledge, so you enjoy the benefits of a small, customer-centric distributor with the clout and resources of a much larger company.